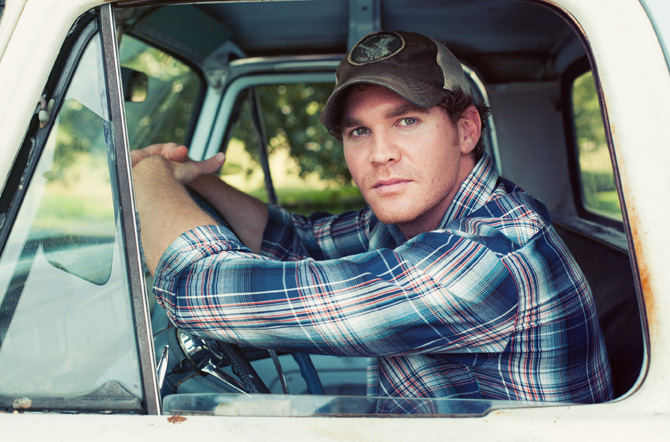 Curtis Grimes is a country singer/songwriter from Texas. Before going down the music route, Curtis had a successful career as a collegiate baseball player. In 2011 Grimes was then given a chance to appear on what was then a new reality TV show called “The Voice” airing on NBC. Having nothing to lose he auditioned for the show and ended up finishing in the top 10 under Coach Ceelo Green. Following success from the show, Grimes released music and toured all over. In 2014, Grimes and his hit single “Home to Me” was picked up by national salon chain “Supercuts” and placed in the mainstream spotlight. Not only was the song featured but Grimes got the chance to put on his acting boots and star in the National Campaign. That same year Grimes started to see the hard work pay off when he was awarded “New Male Vocalist of the Year” at The Annual Texas Regional Radio Award Show. Fast forward to 2016, Grimes now has a handful of #1 songs under his belt and has played hundreds of shows across the US. His most recent album “Undeniably Country” was released in November of 2016 and debuted at #16 on Billboard Heatseekers. 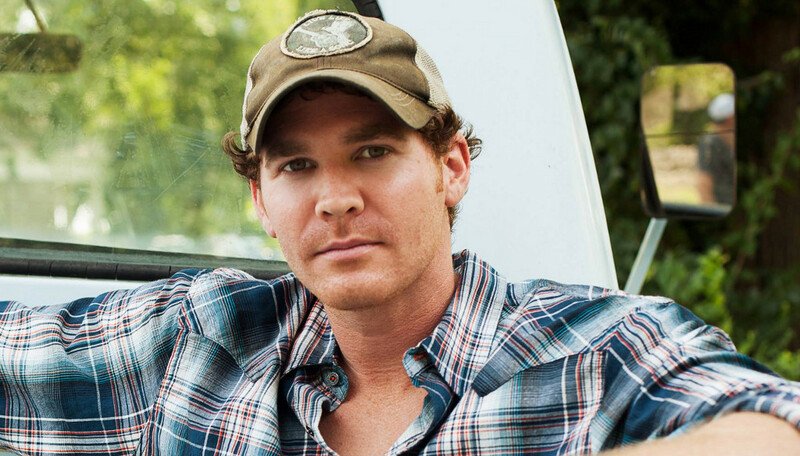 Curtis released the single Right About Now’ which held the #1 spot for two consecutive weeks on the Texas Regional Radio chart, and is one of the top five most streamed Texas/Red Dirt singles on Spotify with over 600,000 plays to date. 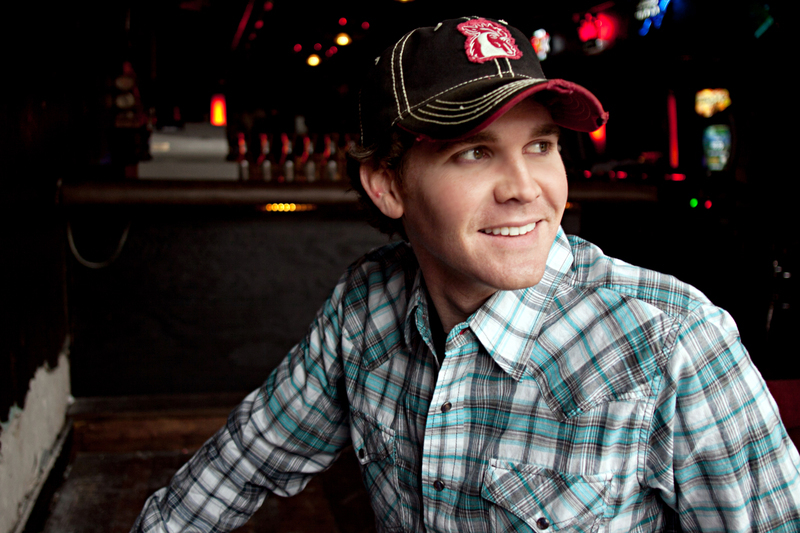 The track – co-written by Grimes with his producer Trent Willmon (Little Big Town, Cody Johnson, Randy Houser) – is taken from his ‘Undeniably Country’ album (5* in Country Music People and described in No Depression as an album that “most certainly lives up to its title“) – and follows the single ‘From Where I’m Standing‘, written by fellow rising country stars Thomas Rhett, Chris Janson, and Jaron Boyer (who wrote Cole Swindell’s current #1, ‘Flatliner‘). The single is also gaining attention here in the UK, including airplay on multiple shows/stations including the BBC regional country shows, with Curtis featured in several blogs and magazines. Now based in Nashville, Grimes is currently on tour across the USA, playing festivals, fairs and sold-out headline shows, with plans to visit the UK early in 2018. I caught up with Curtis for a little chat. Hi Curtis how are you? I am doing great, thanks for this interview! Firstly, I want to say how sorry I am to hear about your home state and I hope that you and your loved ones were not affected. We were very fortunate, my wife’s dad lives in Corpus Christi and had very minimal damage to his property, so we are thankful for that. I have been learning how to adjust to a newborn sleeping schedule and still keep up with everything else going on with my music! Yes, you just had a little girl? Congratulations! Is she your first? Yes ma’am and she is precious! This is our first and we plan on having one or two more if possible. Do you think fatherhood will change who you are as a musician and inspire you as a writer in different ways now? Absolutely, there has already been a shift in priorities and I predict the content will follow suite as well. For those unfamiliar, could you tell us a little bit about your background? I grew up playing baseball and got into playing guitar and writing songs when I was a Freshman in college. I have been blessed with some amazing opportunities and success for someone who didn’t grow up with any sort of music background. What is the country scene like in Texas? I believe Texas country music is a subgenre itself? It’s an incredible scene with a tremendous fan-base that supports independent artists and make up a self-sustained touring market with it’s own radio chart. It’s a pretty unique system that allows up and comers the opportunities to establish themselves and cut their teeth playing shows without the strings of a label attached. Could you yell us about your experience on The Voice? It was great! I got quite a bit of exposure and it opened the door for me increase my fan-base and tour outside to the Texas scene. I learned a lot about the music industry and got an introduction to the publishing world that made me a better writer. How does it feel standing there waiting for a chair to turn? It was the most nervous I have ever been in my life, I was just happy to be able to make it to the next round! Tell us about your single Right About Now – what was the inspiration behind it and the writing process? This was a song I wrote with my producer, Trent Willmon, and the moral of the story is that a guy is not always better off by proving his point. Sometimes it is more beneficial to swallow your pride and choose your battles wisely! We wanted something fun, upbeat and with a good story-line that was relatable to many people. 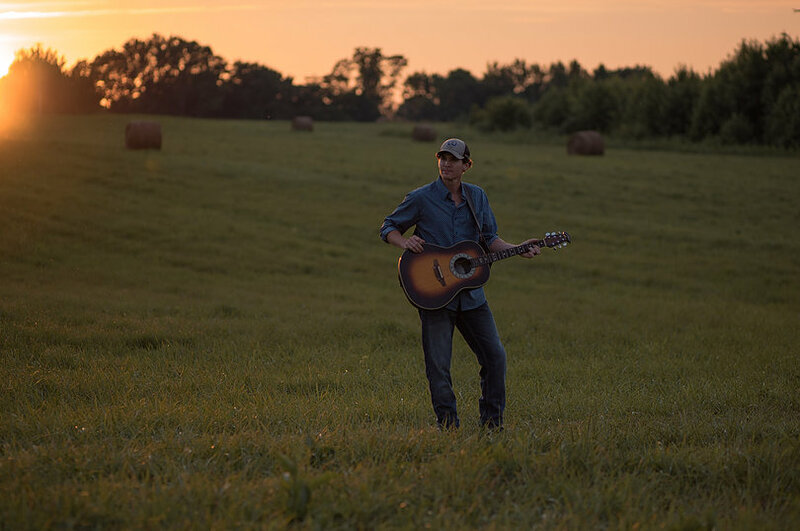 I am a traditionalist, I love the older country sound and that’s the type of music that I sing well. I grew up on Alan Jackson and George Strait, so I tend to gravitate toward that style of songs. I wanted to create an album that reflected my personal taste and represented me as an artist, without sacrificing my moral position or integrity. I was more concerned about making a record I was proud of instead of trying to see how many I could sell or how much I could get played on radio. In doing that, we created something that was genuine and got a better response that any album I have put out to date. What is your favourite song off the album or one that you absolutely HAD to have on the album? “Had a Thing” because it is my personal testimony and tells the story of how I got where I am today. “Born to Die” would be a close second, I feel like it’s the best “song” I’ve ever written and gives me the opportunity to spread the story of Salvation and the sacrifice Jesus made on our behalf. You will be visiting the UK next year for some shows, where will you be playing? As many places as possible! I would love to spend a few weeks there and play several shows all over. What made you decide to come over to the UK? We made our first trip overseas last year to play a festival in France and the reception was surreal. The people were amazing and it was pretty awesome to have fans that far away singing songs that I had written. I enjoyed it so much, I wanted to make another trip and play more shows in other countries as well. Were or are you aware of the ever growing fan base for country music in the UK? I have heard several good things and look forward to bringing our music there! It’s nice to see that people still appreciate what I call “real” country music. What are you most excited for about playing in the UK and will this be your first trip? Getting to meet all the people that support my music and making new fans. Has anyone given you any advice or idea of what we are like as an audience? Not specifically, but I have heard how much y’all appreciate and respect the artists. Will you be doing any site seeing whilst here? If so where? As much as we can squeeze in! Are you familiar with any UK country at all and is UK country getting recognition in the US now? We are starting to see acts like Ward Thomas and The Shires pop-up more and more with Spotify and the current wave of on-line streaming. What have you got planned next this year? To play as many shows as possible, continue to grow as an artist and writer and love on my baby girl as much as I can!